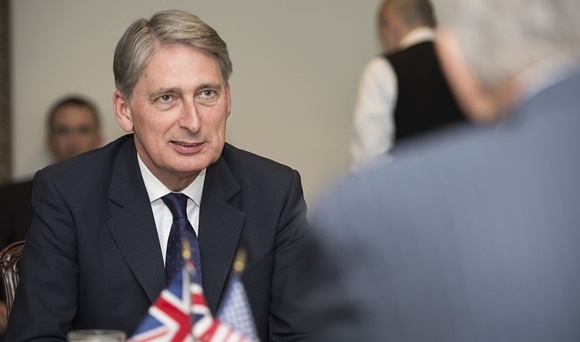 The Association of Independent Professionals and the Self-Employed (IPSE) has warned Chancellor, Philip Hammond that significant cuts to the VAT threshold in the upcoming Autumn Budget 2017 would be a “disaster” for millions of self-employed Britons. Ahead of the Autumn Budget 2017 on Wednesday 22nd November, the Office of Tax Simplification (OTS) undertook a comprehensive study of the issues with VAT in the UK. Their report featured 23 recommendations to improve the system, including a potential lowering of the current £85,000 VAT threshold – the amount a trader can turnover before having to pay VAT – to as low as £26,000 in order to raise more funds for the Treasury. However, the IPSE believes any such move would be a “cash grab” by the UK Government, particularly after recent changes to IR35 in the public sector and the implementation of dividend taxes. The OTS believes lowering the VAT threshold would “significantly reduce the extent of the unregistered business population” and “make it harder for businesses that wish to illegally evade VAT to remain undiscovered”. Nevertheless, the IPSE countered those claims by insisting such a drastic cut to the VAT threshold would have significant short and long-term implications for self-employed professionals. “In the short term, lowering the VAT threshold would lead to serious cash flow problems for many self-employed people. “They would quickly be faced with the stark choice of either raising their prices – which would cause them to lose customers – or absorbing the cost themselves, which would do significant damage to their businesses. Alan McLintock, chair of the Indirect Taxes Sub-Committee at the Chartered Institute of Taxation (CIOT), says that while improvements to simplify VAT for businesses are welcome, there will inevitably be a trade-off to appease the vast numbers of small businesses that have never had to pay VAT since their foundation. “Future examinations of the VAT threshold will have to manage a trade-off that while the current threshold can act as a barrier to the growth and activity of a business, many small businesses have spent their lifetimes not dealing with VAT and having correspondingly less regular contact with HMRC,” said McLintock. It’s now less than a fortnight until the Chancellor will deliver his inaugural Autumn Budget. To receive a summary of all the key points from the Autumn Budget 2017 on the day, click here to sign up to receive our newsletter. Our Twitter feed @TaxAssistUK will also cover all of the pertinent information relating to the UK’s small businesses throughout the day.